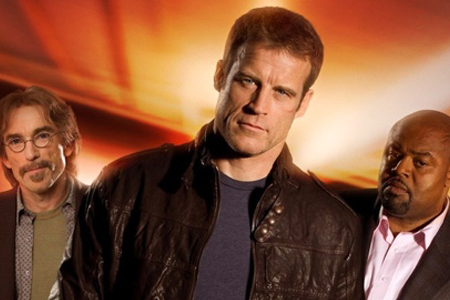 I watched Fox’s ‘Human Target’ last night. The show is based on a DC Comics character, but I admit I know very little about him. What I do know is TV, and this is good old fashion fun television. Think ’24’ minus all of the angst. It stars Mark Valley (who also stared in one of my favorite shows of all time, ‘Keen Eddie’), Chi McBride (who seems to be making a career out of sitting behind a desk), and the brilliant Jackie Earl Haley (Watchmen, Little Children, and the upcoming Freddy Krueger). Don’t forget to set the DVR: Wednesday nights.